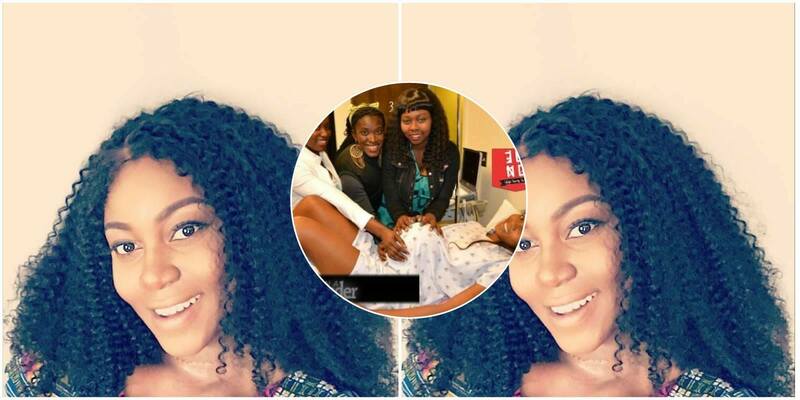 The week started with a lot of news surrounding the birth of Yvonne Nelson’s baby. In July, Ghanacelebrities.com reported that the actress was pregnant. Usual of many celebrities, she denied the pregnancy claims and kept posting pictures of herself on Social Media suggesting that she was not pregnant. As a reliable news portal, screwlife.com kept wondering how a baby could be conceived and born within 3 months. So we called Yvonne Nelson’s manager who allowed us to have an exclusive interview with her. “How did I do what?” she replied. “Hmm, you see, it is not my fault. Ghanacelebrities.com were right when they said I was pregnant. But I had to deny it because of the witches from my hometown. They could have done anything to make sure I didn’t deliver this baby. Now that I have delivered, the world can know” she said.